Ewok Headdress | Pi'ikea St. The release of this awesome news is clearly what influenced the Craft Lab’s latest creation. Wouldn’t you agree? 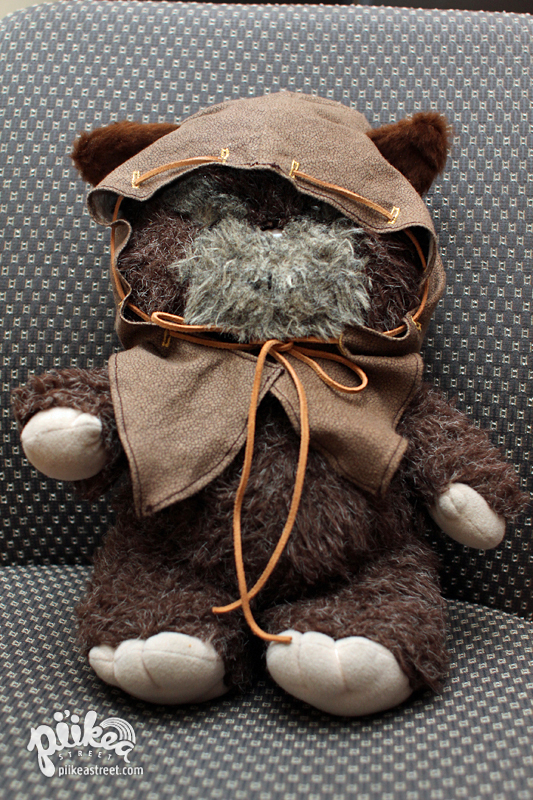 A sewing machine is handy to have to complete this project but we’re pretty sure the Ewoks tailored their headdresses the old fashioned way, so a machine is not entirely necessary. 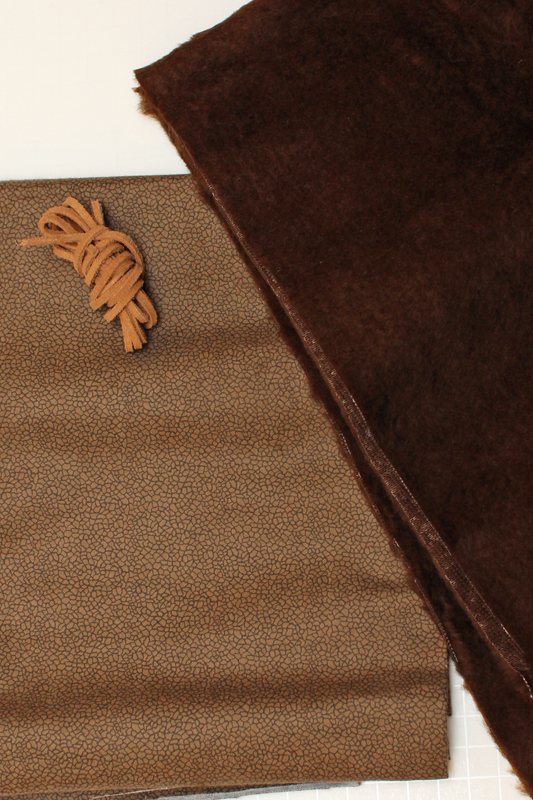 Other than needle and thread, you’ll need some fabric, fur fabric, and leather craft lace. 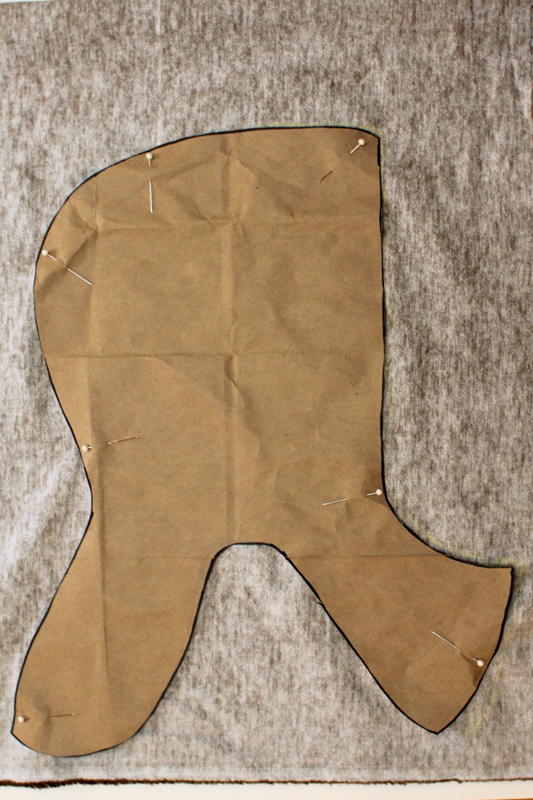 To make the pattern, you’ll also need a jacket with a hood to get a rough trace and large paper. 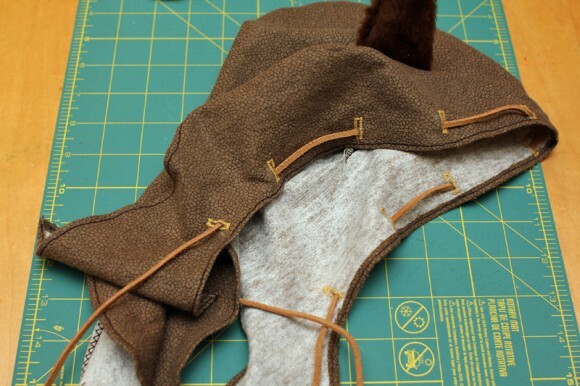 Don’t forget to add a seam allowance for your pattern. 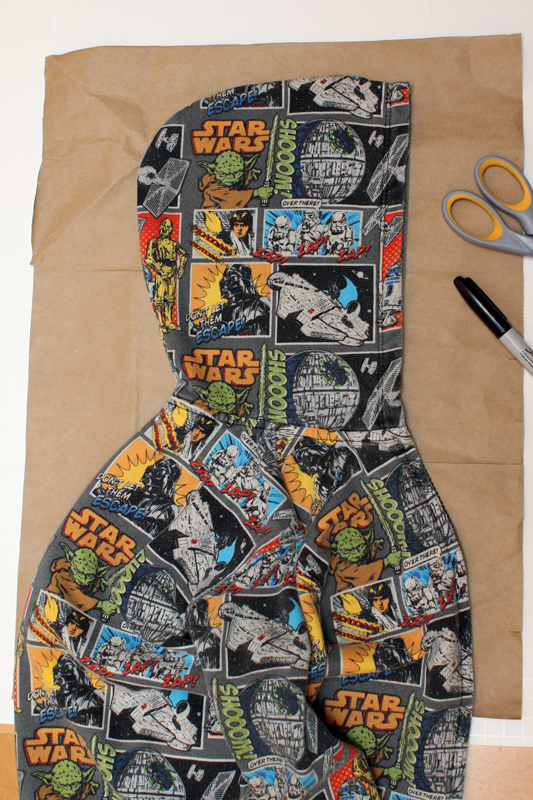 Once you’ve traced a pattern, cut it out and pin it to your main fabric. Cut two pieces out by folding the fabric in half with the outside facing each other. Then pin the the two pieces together (outsides still facing each other) and sew a straight stitch along the top and back of the headpiece. You can ensure a strong hold by making a zigzag stitch and trimming the excess for a cleaner look (even though it’s on the inside and not seen). To keep the outer edges from fraying, fold and sew the edges. Otherwise, the fraying gives the headdress a more rustic and authentic look. This next step is optional and keeps the lace holes from fraying as well. Sew (or cut) small button holes along the front of the the headdress. 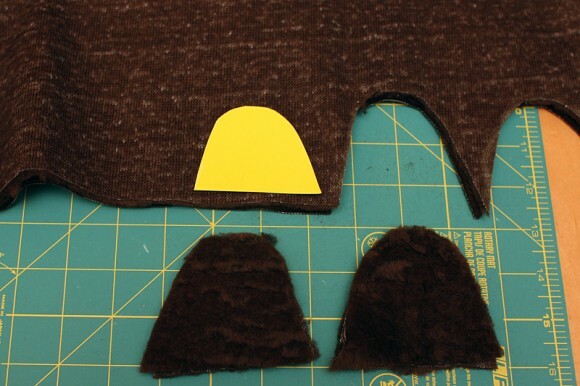 Next, create a stencil for the ears and cut 4 pieces out. Place two pieces together with the outsides facing each other and sew a straight stitch along the outer edge. And flip it with the right side out. Cut slits in the headdress for the ears and pin. 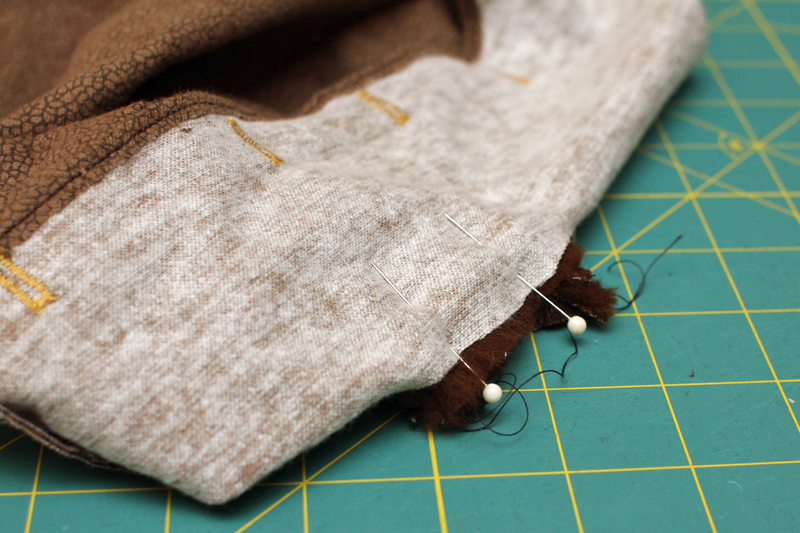 Then, sew a straight stitch to close things up and trim the excess. Finally, cut open the button holes and thread the leather lace through. 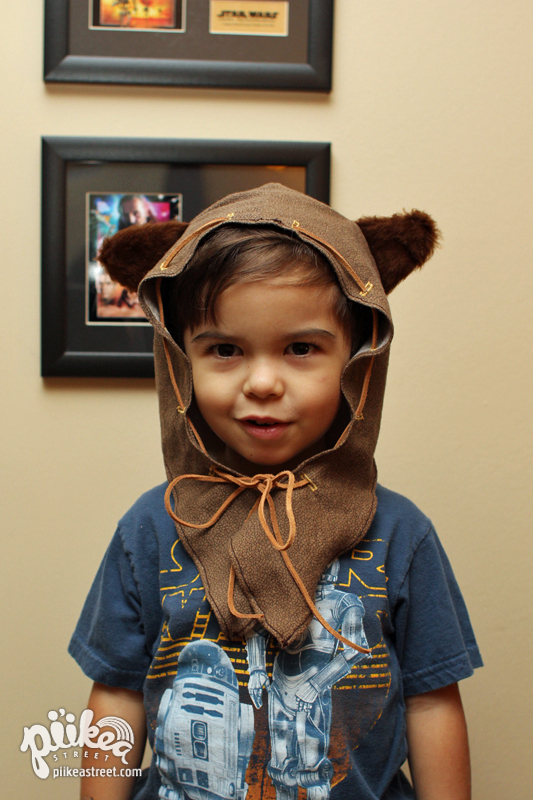 You’ve now got yourself a snazzy Ewok Headdress! Very cute! My 6-year-old saw The Return of the Jedi on Thanksgiving Day. He is obsessed with Ewoks right now.